Made to fit on top of Window Well Grates to provide extra protection from rain and debris. 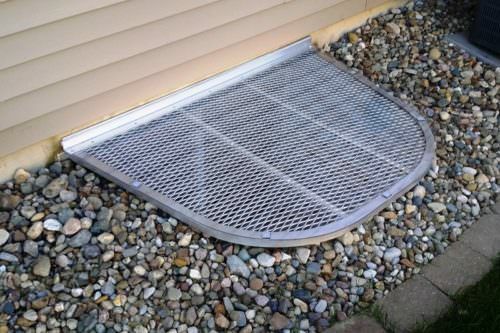 Add a Clear Top Cover to your aluminum window well grate to prevent water and debris from getting in your well. Our combo grates & clear covers offer the best of both worlds! Our Clear Top Covers for Aluminum Window Well Grates are made from UV coated ‘Unbreakable’ Polycarbonate that is lightweight. It’s been a pleasure doing business with you folks and I am quite pleased with my new window well covers. I want to confirm that I am very happy with the product you supplied, they fitted perfectly, are sturdy and are precisely what I wanted.